I am a Librarian in Wyoming who can rarely resist grabbing a stack of new books on my way home from work. I have no idea if this or P&P is my favorite of Austen's novels. 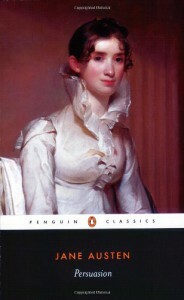 The character development in Persuasion is much more interesting, and the love story more complex.